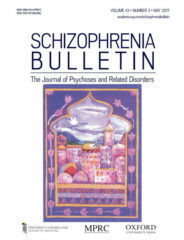 Schizophrenia Bulletin: The Journal of Psychoses and Related Disorders seeks to review recent developments and empirically-based hypothesis testing regarding the etiology and treatment of schizophrenia and related disorders. Police victimization of US civilians has moved from the shadows to the spotlight following the widespread adaptation of smartphone technology and rapid availability of video footage through social media. The American Public Health Association recently issued a policy statement outlining the putative health and mental health costs of police violence, and declared the need to increase efforts towards understanding and preventing the effects of such victimization. The Survey of Police-Public Encounters was conducted to provide empirical data to guide this discussion, and found an elevated rate of various mental health outcomes among people exposed to police victimization. 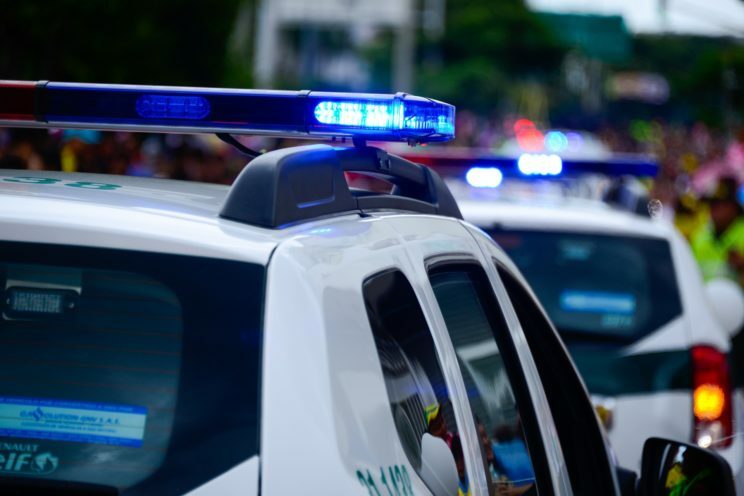 A recent report specifically addressed the increased prevalence of psychotic experiences among people who report exposure to various forms of police violence. The following reflects on some frequently asked questions regarding this subject. What is defined as police violence, abuse, or victimization? These terms refer to the victimization of civilians by police officers that goes beyond the use of reasonable force. Reasonable force itself is a highly debatable term, as the rates of violence considered “reasonable” vary widely between countries (for example, police killings of civilians are exceedingly rare in Europe, even in situations where such action would be considered justifiable in the United States). In addition to physical violence, police abuse may also include sexual violence (ranging public strip searches to assault), psychological abuse (e.g., discriminatory language and threats), or neglect, in which officers fail to respond to a crime quickly or properly, thereby indirectly exposing civilians to violence. Is police abuse a common problem in the United States? The prevalence of police violence in the United States has been difficult to estimate due to varying reporting standards across states and across police departments. In the Survey of Police-Public Encounters, a standardized measure of community-reported police abuse was developed in order to estimate prevalence in four US cities. The lifetime prevalence rates of police abuse among survey respondents (adult residents of Baltimore, New York City, Philadelphia, and Washington D.C.; N=1615) were 6.1% for physical violence, 3.3% for physical violence with a weapon, 2.8% for sexual violence, 18.6% for psychological abuse, and 18.8% for neglect. Police cars by diegoparra. CC0 public domain via Pixabay. Why would police violence be linked to mental health and, in particular, psychosis? There is substantial evidence that stress, trauma, and violence exposure are associated with a broad range of mental health outcomes. People with psychotic disorders report very high rates of past and ongoing trauma exposure, and psychosis risk is particularly tied to interpersonal stressors. For example, the social defeat hypothesis posits that most environmental risk factors for psychosis share an underlying factor in which the exposed person is made to feel defeated and excluded from the majority group. Such effects may be exacerbated when the perpetrator is in a position of power relative to the victim, as in police-civilian interactions. Psychotic experiences resemble the core symptoms of schizophrenia and other psychotic disorders (i.e., hallucinations and delusions), but are typically of lesser intensity, persistence, or associated functional impairment. Reported by approximately 7.2% of the general population, they typically remit over time and only rarely worsen sufficiently to develop into schizophrenia. Nonetheless, they are associated with a broad range of other clinical and functional outcomes. Importantly, they are easily measured and therefore serve as a useful proxy for studying risk factors associated with psychosis in epidemiological samples. What new evidence links police violence to psychosis? Data from the Survey of Police-Public Encounters provided the first evidence that exposure to police victimization is associated with psychotic experiences in a general population sample. Specifically, 14.4% of people reported psychotic experiences if they have never been exposed to police violence, compared to 31.0% of people who had been exposed to one type of police violence, ranging all the way up to 66.7% among those who reported all five police abuse sub-type exposures. While it has previously been known that people with schizophrenia are more likely to be mistreated by police officers, this association had not previously been studied with psychotic experiences. Sub-threshold psychotic experiences are unlikely to be of sufficient severity to draw police attention, suggesting that this association is due to police violence exposure leading to greater risk for psychosis (rather than the other way around). What are potential next steps in this area of research? The idea that police violence may cause psychosis, alluded to above, still needs to be born out in methodologically stronger longitudinal studies, which follow individuals over time with multiple assessments. We also need to start exploring ways to prevent such violent incidents from occurring at such a high rate or, if primary prevention proves unfeasible, explore ways to alleviate their impact on health and mental health. What are the public health and clinical implications of these findings? First, there is a significant need for more uniform data on the nature of police-public interactions across the country, both from the perspective of police departments and civilians. Second, efforts to reform police departments to prevent civilian victimization are critical, which may include greater accountability for police officer actions, the widespread adaptation of body cameras, improved psychological testing of new recruits, and reduced usage of invasive and inequitable practices such as “stop and frisk.” Third, it is reasonable to begin exploring alternatives to police intervention in responding to minor crimes, which may be better handled through community-based restorative justice practices. Featured Image Credit: police by Matt Popovich. CC0 Public Domain via Unsplash. Jordan DeVylder, PhD, is an Assistant Professor at the University of Maryland School of Social Work. He has been on faculty since 2014. He received his MSW and PhD in Social Work from Columbia University, and MS in Cognition & Brain Science from Georgia Institute of Technology. Dr. DeVylder’s research is focused on preventive mental health, with a particular emphasis on psychosis and suicide. His recent work has primarily addressed the mental health correlates of police victimization in the United States, and he is principal investigator of the Survey of Police-Public Encounters. He aims to identify modifiable risk factors through his work, which may then be the target of public health initiatives to reduce the risk of severe mental health issues. Dr. DeVylder also co-authored "Psychotic Experiences in the Context of Police Victimization: Data From the Survey of Police–Public Encounters", recently published in Schizophrenia Bulletin: The Journal of Psychoses and Related Disorders. He can be contacted through email at jdevylder@ssw.umaryland.edu. thank you for your efforts to research and measure police victimization of people. Much needed research.